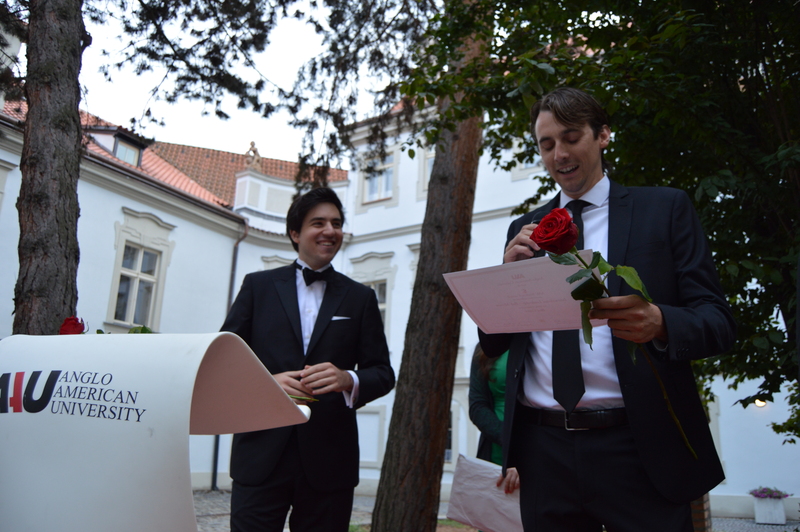 On May 24, AAU students and faculty members dusted their tuxedoes and cocktail dresses, and gathered at the university courtyard to congratulate the winners of the annual AAU Awards Ceremony, organized by the Student Council. 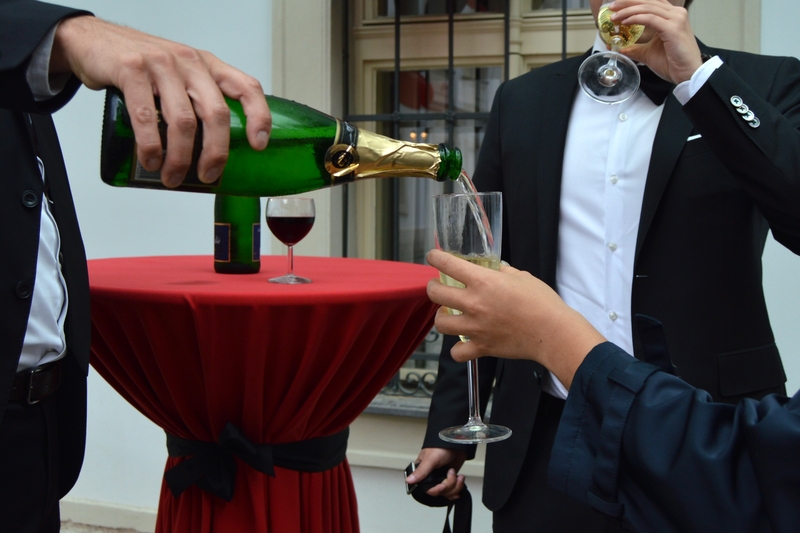 Cafe des Taxis hosted the event, providing exquisite snacks and welcome drinks. In the previous month AAU community had a chance to nominate and then vote for their peers, teachers and faculty members. The voting process was intense, getting a lot of responses. In some categories two and even three winners were announced. The crowd cheered the best teachers from each of the AAU departments: School of International Relations – George Hays II, School of Humanities – Douglas Dix, School of Law – Jennifer Fallon, and School of Business Administration – Roger Kachlik. Best Teacher of the Journalism Department award was shared among Frank Kuznik, Tony Ozuna and Andrew Giarelli. 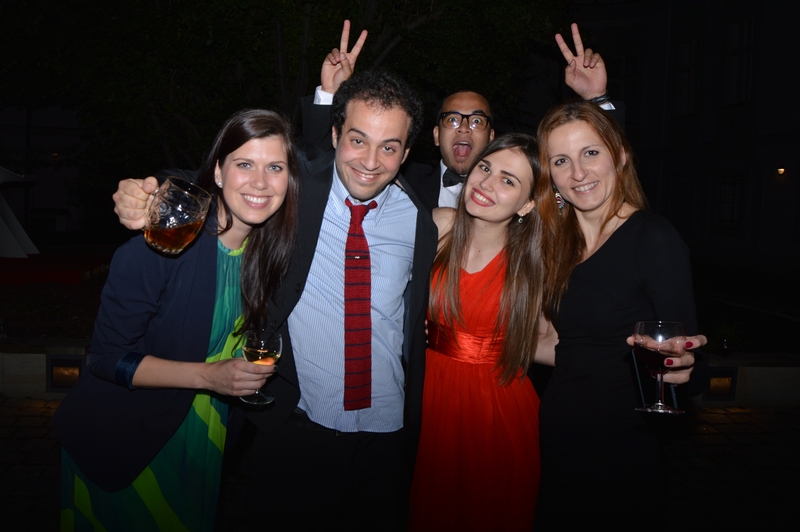 The best students of the year are Martyna Wujas (School of Business Administration), Aldin Muhovix and Marco Pascucci (School of International Relations), Olga Senchuk (School of Law), Karina Verigina (School of Journalism), and Anastasia Shishkina (School of Humanities). Best Staff Member award was shared between Tanya Bryzhachenko and Martin Ranninger. The award for the best club of the year went to the Film Club that, in cooperation with the faculty, for three semesters has been organizing series of film screenings in the library. President of AAU Student Council, Adi Hadzic, was recognized as a Distinguished Leader for his valuable contribution to the university’s student life. Two new nominations were introduced this year. Maria Savelieva received Unsung Hero of the Year award for her responsiveness to various problems of the new-coming students. Anastasia Kovtuenko was granted with Endurance Award for being a good friend and a loving flat mate of Viktoriia Fediuk, AAU student who tragically died last year. The Awards Ceremony has become not only a joyful tradition for AAU community but also a chance to get together before the summer break. 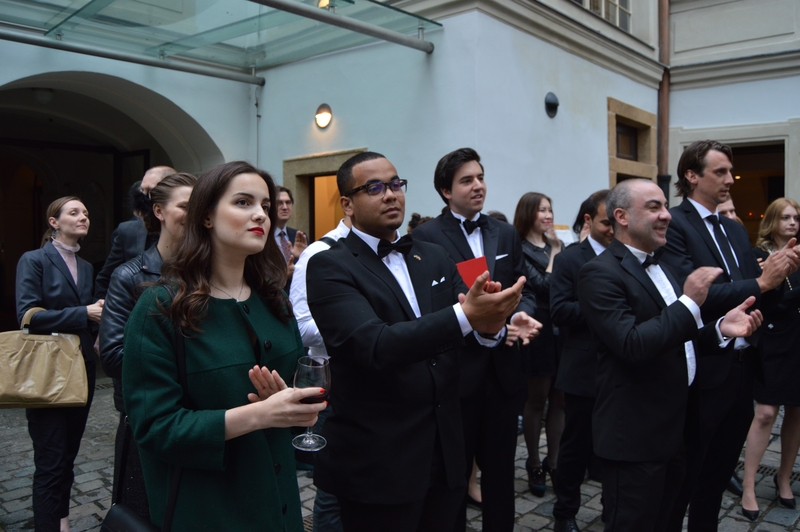 When the official part was over, the evening continued in a more informal and relaxed atmosphere with good music, great company and refreshing drinks.